Greens are the easiest crops to grow indoors. 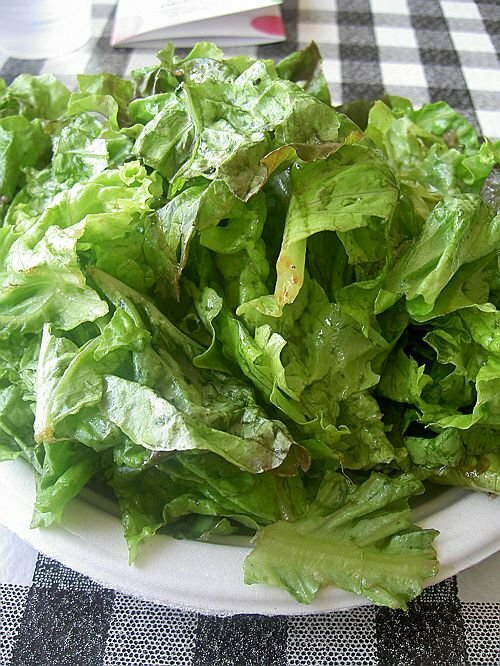 Grow spinach, lettuce, mesclun mix, mustard, or kale and you can harvest the greens within a month! Fruiting vegetables, such as eggplant, tomato, cucumber, and squash, need more space and light to grow will than the average home can offer. To get started on greens, however, you need a few things: light, seeds, pots and soil. Pick up your seeds at Hillermann’s choosing quick-maturing varieties of greens that will not grow too large. Purchase soilless potting mix and plastic growing containers. Fill your containers with moistened potting soil. Next, sprinkle the seeds about 1 inch apart on the soil surface and barely cover them with soil. Place the planted containers under lights and keep the soil moist. Once the seeds germinate, keep the lights positioned just a few inches above the seedlings. Adjust the lights daily as the plants grow. At this time of year, your greens should grow beautifully with just occasional watering. If the leaves get pale green or yellow, give the seedlings a shot of liquid fertilizer when watering. Once the leaves on the greens are a few inches tall, it’s time to start harvesting. The idea is to harvest the greens as baby plants when they are 3 to 4 inches tall and then let them grow again. That way, the plants won’t take up too much space and you’ll get multiple harvests. Harvesting is easy. Using scissors simply cut the greens one inch above the soil line. Lettuce, spinach and mesclun greens will grow back to yield another harvest in a few weeks. After a few harvests the plant stems may get thick and the leaves may stay small. This indicates it’s time to compost the potting mix and roots and start over. Depending on the size and number of containers you plant, your family can eat fresh salads for weeks using this simple indoor growing system. Send this article at Mike Miller – KMOX. A caller asked about this very thing. She had sold her home and was now in an apartment and wanted to grow greens. He grew some veggies in pots but not greens.